COMING SOON – Why compete? call or text me Ken 859-494-5521. Updated, upgraded, Stainless, Granite Quartz, Fireplace, full walk-out basement. Spotless, like-new all brick house with upgraded kitchen. Travertine stone and glass tile backsplash in the kitchen with a quartz granite countertop and stainless sink. call or text Bluegrass Team Ken to get inside – 859-494-5521 Bluegrass Team. Like new Stainless appliances, pantry with lots of shelving. Wood-burning fireplace – and yes of course, you can convert to gas logs if you must 🙂. SOHO – Small Office, Home Office – work from home in your slippers. About 1/2 acre of landscaped grounds with mature trees – see the photos = gorgeous. Watch the stars on your beautiful deck with a private Hot tub deck and pergola. (the hot tub might be able to stay – see if Ken can get that for you). The fenced in backyard is your private oasis – wait till you see the blooms on the apple trees in the spring – they are sincerely captivating. BEAUTIFUL, park-like 1/2 acre± – your private sanctuary – literally 2 min to shopping. All the conveniences of town living, all the privacy of living in the Country. 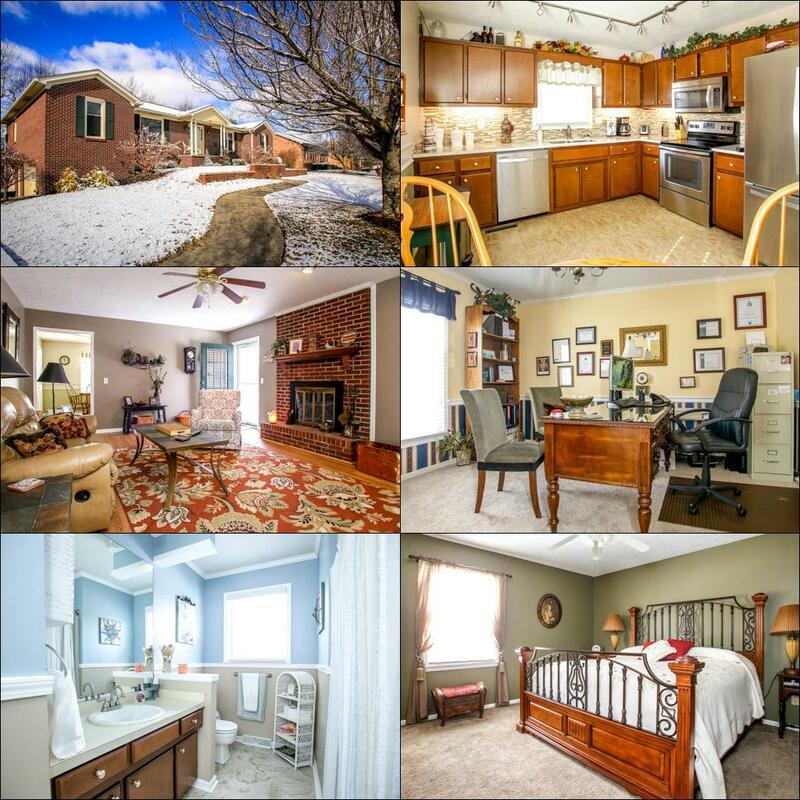 3br, 2ba, 2000± sf – plus the 2000sf walkout basement. Oops, I almost forgot to tell you one of my favorite features of this house – the full walkout basement 2000 sf. oversized 2 car garage, workshop area, laundry area. Spotless and dry – could easily be finished for additional 2000± sf? living space. Pool, Tennis courts and Gym is 370 feet away. 2 walking trails 2000 feet away. 1 of them is a 2 mile loop. .4 mi from Millennium Park – soccer fields, baseball, softball, basketball, skate park, climbing park and playground for the little ones, fishing pond, etc. Millennium Park is quite nice.